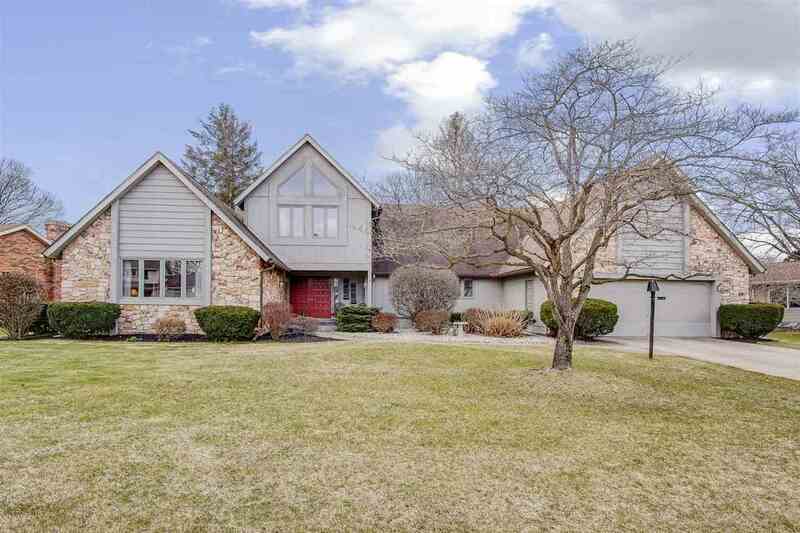 Knollwood on the golf course with great curb appeal and awesome back yard on the 13th hole of the East course. So many nice features, character and charm. Lovely formal entrance through the double doors to a very spacious foyer with brick flooring. Large Master Bedroom and Bath on the main level. Formal living room and a really nice great room, both with vaulted ceilings. The great room and bonus loft area overlook the Knollwood golf course. Nice cozy fireplace and two patio doors to the back yard with deck. The loft can be used in so many ways. Nice kitchen with new granite counters and dining area plus a very large formal dining room overlooking the golf course. Large half bath on the main level plus first floor laundry. The upper level is absolutely charming with a nice walk through full bath between two bedrooms and a family room or office and study area. Really nice. The lower level is finished with an additional room (without egress) that has been used as a fourth bedroom. Office and entertainment area. Full intercom; speaker & music system throughout. Newer range, microwave and water softener. Much more plus many recent improvements.